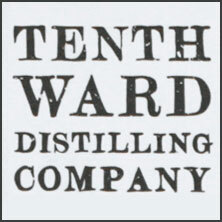 Tenth Ward will be at the Fest! We are delighted to announce that Tenth Ward Distilling Company, of Frederick MD, will be joining the Whiskey Rebellion Fest once more in 2018. Tenth Ward is a woman-owned micro-distillery. The name “Tenth Ward” is a reference to the way Frederick City was divided during the late 19th century. The location at 508 East Church Street was part of what used to be the Tenth Ward. The George Washington Whiskey Rebellion Fest, brought to you by the Community Trust Foundation, opens 6 pm Friday June 8 at Allegany Museum, Cumberland MD. Tickets include all tastings, open beer and wine bar, gorgeous food, a visit by the George Washington living biographer, and much more. Tickets are just $50 per person. Order yours here.